Olive oil, whether grocery store shelf variety or a high-end specialty import, is guaranteed to occupy space in almost every American pantry—which makes the problems currently facing Italian and Spanish olive growers our problem, too. Home to 95 percent of the world’s olive groves, the temperate Mediterranean region of Europe has recently been plagued by flies, flooding, drought, and bacterial infestation. It's a wave of misfortune approaching Biblical proportions. First came the pests: Bactrocera oleae, the aptly named olive fruit fly. The insects merrily repopulated among Italy’s trees during this past olive season, as eggs laid in the fruit hatched into larvae that consumed it, before growing to maturity and starting the cycle over and over again. The Puglia region suffered doubly, not only from its native pests, but also a foreign bacterial infection called Xylella fastidiosa, suspected to be an accidental import from Costa Rica. The bacteria—already infamous as the bane of California vineyards and Brazilian citrus groves—is now taking Italian trees hostage, subjecting fruit-bearing plants to slow, diseased deaths. Almond, oleander, and cherry trees have also been found to harbor the undesirable bacteria, although olive trees are the main victims. Though a desperate plan by the EU has already designated 25 miles of the surrounding area in southern Italy as “buffer zones,” they been forced to cull thirty-five thousand olive trees to date, with up to a million more potentially at stake. 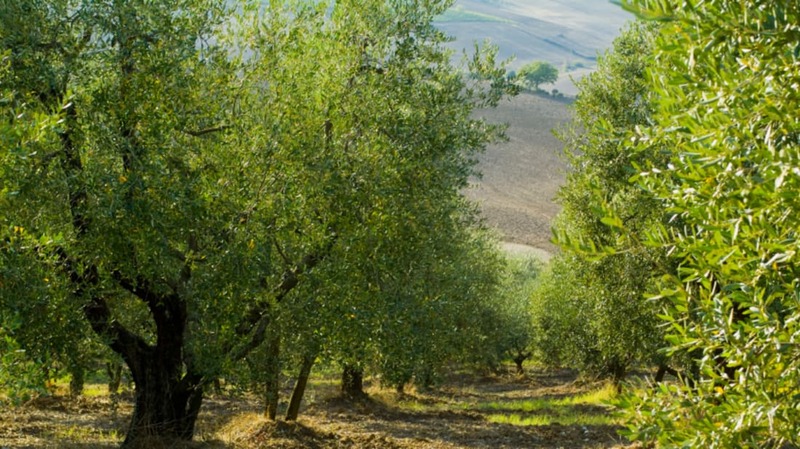 The fact that Spain and Italy alone are responsible for so much of the world's olive oil production can be attributed to their ideal olive-growing climate: long, hot summers and cool, but not cold, winters. However, olives, like most living things, tend to suffer in extremes, like flooding and hail in Italy and major drought in Spain. All told, the International Olive Council anticipates a global shortage of olive oil that no amount of good weather in other countries can compensate for. Although the United States is the biggest olive oil consumer outside the European Union, accounting for 10 percent of total global olive oil use, we seem to be a nation more of takers than givers. Even the unusually generous recent bounty from California olive growers will only contribute to less than one percent of worldwide production [PDF]–so much for buying local. It’s enough to drive olive oil prices up significantly, as if the market weren’t already incredibly profitable for culinary fraudsters. It may be time to start stocking up on extra-virgin, just in case – but even that solution is only good for about a year. In the meantime, may fate soon have mercy on the olive trees.